Sell Your Lexington Home This Fall With These 5 Tips! As you know, fall is one of the most beautiful times of year in Lexington MA! Visitors find their way to our town to experience the rich history and beauty. It comes as no surprise then, that buyers will also want to move to Lexington for the same reasons! If you’re considering selling your Lexington home this fall, you may be concerned about the activity on the Lexington Real Estate market. And, while it’s not the busy spring or summer season, selling your home this time of year is not impossible! In fact, buyers who search for a home during the fall are typically more serious about finding a home and settling in before the holiday season hits. So, as you begin thinking through selling your home this fall, you may be wondering what you can do to help your home stand out from the competition. Below are five great tips you won’t want to miss! 1. 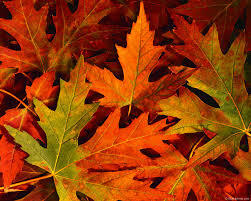 Create Beautiful Fall Curb Appeal- As we get more into the fall season, lawns and trees can begin to look drab. Summer flowers are long gone and creating an eye catching home from the curb can be more of a challenge. To make a solid first impression, be sure to keep leaves raked and debris off the driveway and sidewalk. You’ll want to add a simple fall wreath and maybe a few pots with brightly colored mums to your front porch. Also, don’t neglect your home. 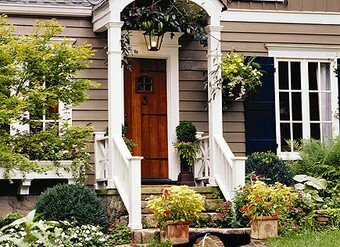 Any siding or paint issues will be more easily seen with less foliage, so be sure to power wash or touch up paint before you begin showing your Lexington home. 2. Don’t Overdo It- It can be easy to want to over decorate your home with fall themed decorations. However, if a buyer walks into your home and can only see pumpkins, gords, and other harvest decor; it will immediately take away from the focus on your home. Adding a few simple touches here and there will be enough to enhance your space without overpowering it. 3. Make Comfort a High Priority- As the days get cooler and drearier, you want people to feel instantly cozy when they come into your home. Keep the thermostat at a comfortable temperature, put out a few unlit fall scented candles, and have a fire in your fireplace. Continue to help buyers envision themselves enjoying cool fall days by having a cozy throw on your couch and even a table with hot chocolate, cider and fall treats. This will help your home stand out in a buyers mind as you appeal to all their senses! 4. Lighten Up Your Home- With the sun setting earlier, you’ll want to showcase your home in the best light. If you host open houses earlier in the day, be sure to have curtains open to let in the natural light and keep your home feeling bright and airy. If you’re showing your home in the later afternoon or evening, you’ll want to have warm light bulbs in every lamp and have as many lights on as possible. A dark home can feel dreary and buyers will have a hard time seeing all the great features of your home. 5. 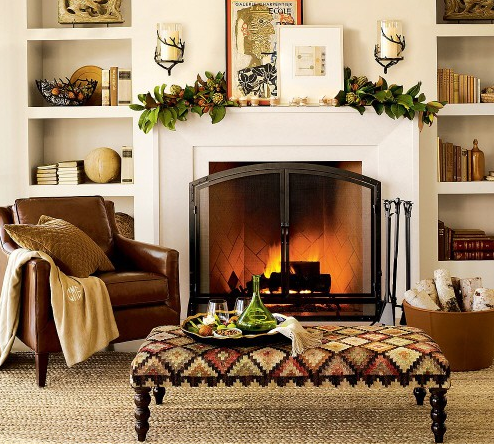 Don’t Stop on the First Floor- As you create a warm and welcoming environment in your home this fall, don’t forget to carry that feeling throughout your entire home. Make sure bedrooms look fresh and clean by switching out an old comforter for a new fall one, or add a few accent pillows to enhance the feeling of your bedroom being pulled together. Each room throughout the home should be clean, free from clutter and feel as welcoming as possible. As a Lexington Real Estate agent, I want to help you prepare for home selling success! Hopefully these tips will inspire you to create an environment in your home that buyers can’t refuse. If you’re ready to get started with the home selling process, or if you’d like to meet up to talk more about getting your home sold; please feel free to contact me today! Whether you’re headed back to college, high school, middle school, or elementary school, the back-to-school season is in full-swing for Lexington! To help ensure that students start the school year off on the right foot, StudyPoint’s National Director of Academics, Jamee Wilke, shared her tips and expertise with Philadelphia’s Fox 29 reporter, Jennaphr Frederick. Tip #1: Develop organizational systems that will work for YOU. Not all organizational systems will work for all students. You should choose the ones that will work best with your schedule and needs. Remember, though, that learning to be organized takes time and practice. If a system doesn’t work the first time you try it, try again. You may just need more time to become accustomed to it. Tip #2: Avoid distractions in your study space. If your study space includes a TV and radio, it’s probably not the best place for you to study. Your study space should be used for studying and working only. Choose a space that doesn't have a lot of tempting distractions available. Tip #3: Keep all of your books, notebooks, binders, and folders for each class together on a shelf. Then when you need to grab your math materials for school, they are all in one place, making it less likely for you to forget something. You can even label the shelves to make it that much easier to find the right materials. Tip #4: Reward yourself! Positive reinforcement is an amazing thing. When you have completed tasks, reward yourself in small ways. This can be anything from allowing yourself to take a 10 minute break to treating yourself to a movie. This will help to avoid procrastinating! Tip #5: Schedule time to complete your assignments based on anticipated time on task and urgency. Once you know all the assignments that you need to complete, determine their deadlines and estimate how long it will take to finish each one. You can then prioritize your tasks and set a clear schedule for completing them! Tip #6: Use an academic planner to keep track of your assignments, deadlines, and appointments. By having all this information in one place, you’ll know exactly where to look to find out what you need to do. You can even use your planner to prioritize tasks and set a study schedule. See the example provided. Tip #7: Use shorter, less grammatically correct sentences. Since you are the only one who will be reviewing your notes, you need not write grammatically correct sentences. You should do your best to shorten your sentences as much as possible. This will enable you to take notes at a faster speed and will reduce the risk of falling behind. Just make sure that you don’t abbreviate the sentences to the point where you are unable to understand what you wrote when you go back to review your notes. Tip #8: Divide your study time into blocks separated by quick breaks. It is most effective to study in 30-45 minute blocks of time, allowing yourself quick 3-5 minute breaks in between study blocks. This approach gives you time to focus while also allowing time to relax and re-energize. Be careful though—you need to make sure that your quick breaks don’t turn into longer procrastination breaks! Tip #9: Create and save study guides and aids. Students often wait until the night before big tests to start creating study aids. Instead, you should create study aids for each quiz and test that you have in a class. Once the quizzes and tests are completed, you should save your study aids. Then when it comes time to study for your big tests and quizzes, you will already have your study aids created, which saves you valuable time that you can dedicate to studying. Tip #10: Learn how to effectively communicate with your teachers. Your teachers are there to provide guidance and support. You’ll find that most of your teachers are more than happy to provide additional instruction and extra help. This also shows that you care about your academic performance. Your teachers want to see that you are interested in the class material and that you are driven to succeed. There’s a good chance that a portion of your grades will be based on your class participation. By effectively communicating with your teachers, you can help maintain and increase your class grades. Below are just a sampling of what the state has to offer. So pack the whole family in the car and hit a fall festivity.